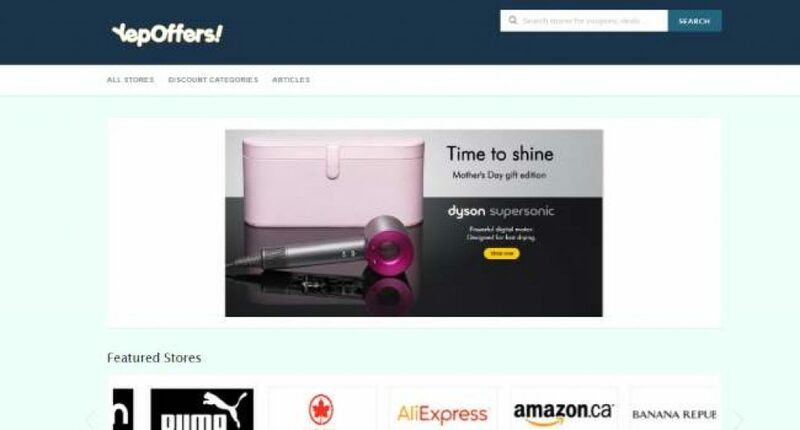 YepOffers Canada is an International discounts provider started its operations in 2017, it offers a vast variety of discounts deals and vouchers and that helps its customers to buy their desired products at reduced prices. YepOffers has its operations in multiple countries that make us more close to our objective of giving the best deals and offers to our customers. The user-friendly interface and websites make it easy for the customer to go through the website and choose the best deal that he/she wants for his online shopping. The discount offers and coupons that one can find on the websites belong to several categories such as apparels, food items, health and beauty products, baby products and much more. What problems does YepOffers Canada solve? YepOffers truly believe that savings need to be done by everyone whoever shops online, there are many stores and brands that offer discounts and offers to their users. Therefore YepOffers is making it easy for the online visitors who are fond of shopping to get their shopping of several products like clothes, footwear, ordering food, jewelry and making it easy to book travel tickets and many more. The Services of YepOffers is for everyone who is interested in and fond of making online shopping at a better rate with discounts deals. Our visitors usually find deals that are worth their time. The brand YepOffers has stood out from the crowd when it comes to loyal partnerships with the firms, the partner stores that are on the website and holds all the latest and genuine offers, the website offers a very useful and user friendly interface that enables the user to navigate through the website and find the best offers for them. YepOffers being launched in 2017, an early startup has found success in several fields, YepOffers is constantly achieving more and more customers every day since its existence. YepOffers hosts more than 999+ stores and 10000+ deals on its websites. Considering the next few years, YepOffers is dedicated to grabbing more online visitors along with the countries that are increasing its E-Commerce potential and markets. The brand YepOffers is already operating in 10+ countries and is focused to evolve to furthermore countries where people largely engage with online platforms for shopping. The Founders of YepOffers is based an IT expert, former working professional and now an Entrepreneur. Mr. Bansal has a filthy rich experience in the IT sector and is well versed with the ongoing digital changes in the E-Commerce industry. The objective of this website was to understand the user experience and expectation that he/she expects from the online shopping websites. All the major decisions of the businesses are guided through the Senior level management including him and several others.